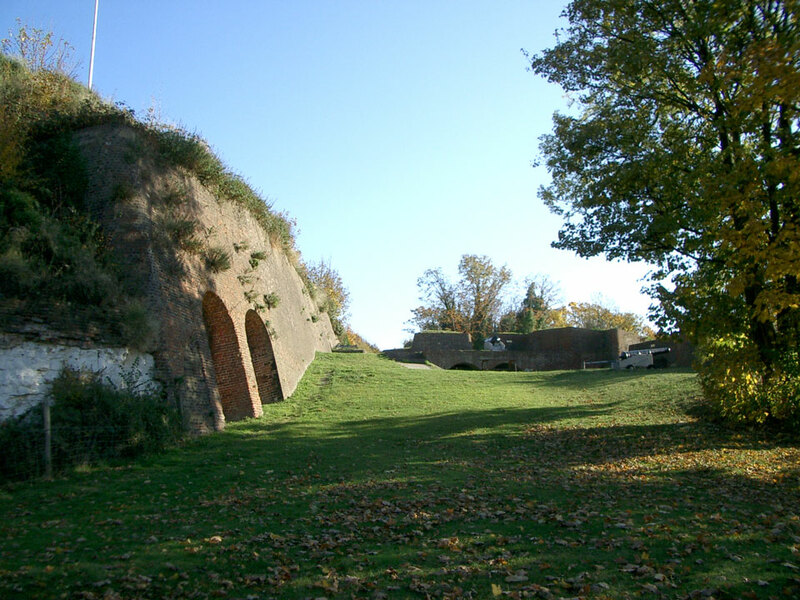 Fort Amherst was constructed in 1756 to defend the south eastern approaches to Chatham Dockyard and the River Medway against a French invasion. 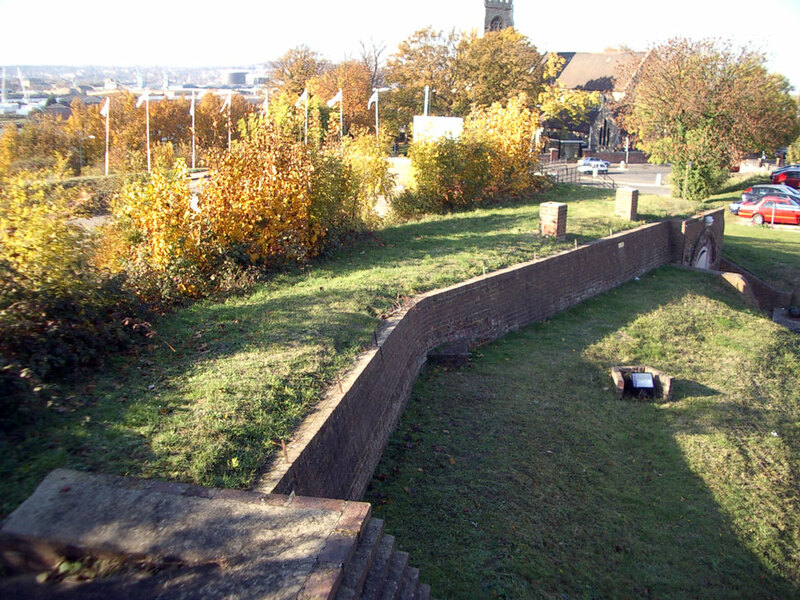 The fort was enlarged and strengthened during the first few years of the 19th century during the Napoleonic Wars as the Chatham Defences were considerably enlarged. 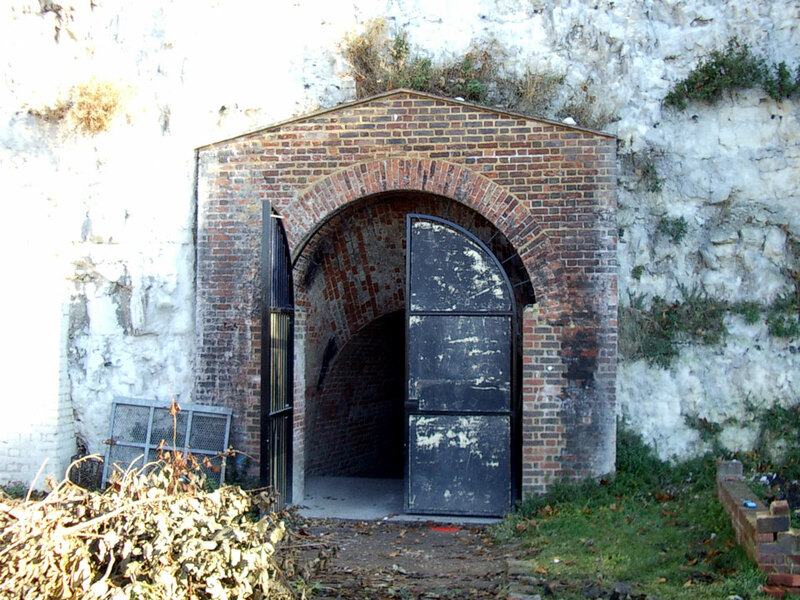 There is a maze of tunnels dug into the chalk cliffs which were used to move ammunition around the fort. The fort was still in use during the Second World War and is being restored. A second gun battery, Townsend Redoubt, was built at the north eastern corner of the dockyard at the same time as Fort Amherst. 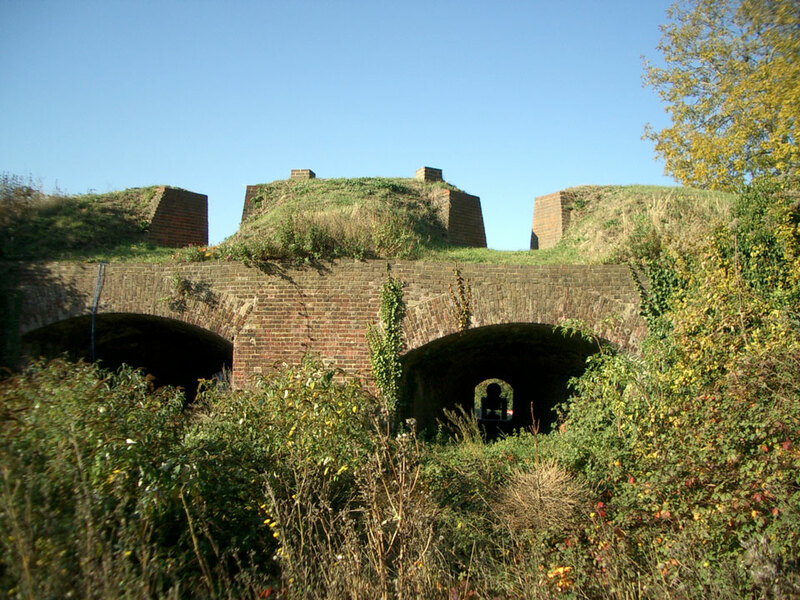 Both forts were inside the 1756 brick lined earthwork bastions known as the Cumberland Lines which surrounded the whole east side of the dockyard down to St Mary's Island. These have now been built over. In addition two extra forts, Clarence and Pitt, were built in 1805 - 15 to protect the southern approaches to Chatham and Rochester.